Either Google no longer supports Scan & Match when uploading to Google Play music or it’s still broken and no one cares. It’s been down since January after working great for years. I just tried it again today for fun. I uploaded 2 FLAC albums and 1 MP3. Not a single match. I had opened a ticket, but the support techs didn’t seem to understand what the problem was or confirm whether is was working. Very unfortunate, but not all that surprising I guess. 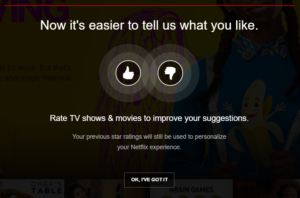 I logged into Netflix today to find that the new Thumbs Up/Thumbs Down rating system has been implemented. I don’t like it! I might possibly hate it. I was already unhappy that Netflix didn’t have half-stars like Rotten Tomatoes. Whole stars don’t provide enough granularity. 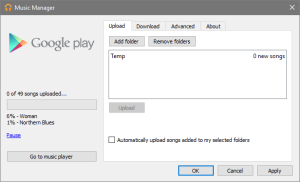 Google Music – What is going on? 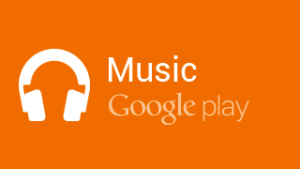 The Google Play Music Upload matching service is still not working. It’s been almost 2 months? Do they no longer match uploaded music? Does it not work from Canada? I don’t see anyone else complaining about it, but it worked fine up until January. I’ve tried it with MP3 and FLAC files. I don’t get it. Google Music Auto-match Not Working Again! This came up last year, but it seems that the Auto-matching service for Google Music uploading is down again. I tried uploading 22 albums yesterday and not a single song was matched. Same thing happened today. These were all FLAC files which generally have a much higher match rate. They were also fairly popular artists like The Weeknd & Radiohead. I guess I will have to try again after a couple of days. Last year it took at least 3 days to get it running again. 2016 Cineplex Peel & Pop – Game Tweaked!! 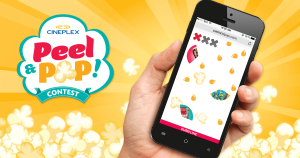 The summer Cineplex Peel & Pop game has been running for a few weeks now. In previous cycles, you would pop kernels for contest entries with the occasional instant prize being won. This year, you have to pop kernels to win wedges, which are like a partial prize. You have to “earn” 3 or 4 wedges to win any one prize. Sometimes you will get all 3 or 4 wedges for one item in a single game, giving you an “Instant” prize. Initially, the game was more challenging on a mobile or tablet. In a desktop browser, it was considerably easier. For the most part I was able to pop over 200 kernels per game using a mouse. Unfortunately, being able to pop that many kernels didn’t seem to increase the amount of wedges you could win. Whether you popped 50 or 200 you always seem to end up with 3 to 5 wedges. If you don’t pop all of your potential wedges during regular play, you get an extra chance to pop a bonus kernel, where the system would give you the remaining wedges. Anyway, I tried again today after not playing since last week and holy crap, they quickly ramp up the speed now. I can only hit maybe 40 to 45 kernels! Luckily any wedges you miss during regular play seem to come up with the bonus kernels. I’m still getting 3 to 5 wedges per play. I used to be able to play better than 100% of all Canadians according to the end game message. I guess they got wise and tweaked the game-play. 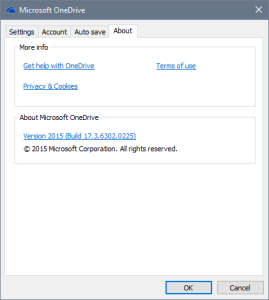 OneDrive Randomly Deleted over 26 000 Files! This morning I noticed that OneDrive was feverishly working away while I worked. I hadn’t made any changes to my OneDrive folder, so it didn’t make much sense. I stupidly let it be thinking it was just doing some maintenance. Well, at the end of the day I went to retrieve a file and found that several folders were missing. Upon closer inspection I found that most of my files were gone! I looked online (https://onedrive.live.com) and they were all still there, just not on my local computer. That’s when I checked my Recycle Bin and found over 26 000 files had been deleted from my OneDrive folder. The files are mostly small and only make up about 3.5 GB. Anyway, I was able to restore them from the Recycle Bin and all is well. Makes me a little concerned about what the hell OneDrive was thinking. It appears as though the music uploading auto-matching feature of Google Music is working again. Yesterday I re-uploaded 5 albums that previously didn’t have a single match. This time all but a couple of songs were matched. I didn’t think they would go too long without getting that fixed. Google Music Auto-match Not Working? It seems like the auto-matching functionality of Google Music hasn’t been working for the last few days. I tried to upload 4 albums that I ripped to FLAC, but not one song got a match. I find the system is better at matching FLAC files than it is at matching MP3 files. I’m guessing because it doesn’t sample the music and instead just goes by the ID3 tag and song length. All 4 albums are available for sale on Google Music, so I know Google has a copy. I converted them to MP3 files just in case, but they still didn’t match. Traditionally, I get a match ~99% of the time (with FLAC files), so I know something is up. I will try again in a few days to see if the issue has been corrected. Need to rename a whole whack of folders? After converting almost 16 000 MP3s to a lower bit-rate using TAudioConverter, I realized I forgot to check off “add encoder suffix to created folders”. This resulted in hundreds of folders with “_Lame” tacked on to the end of each folder name. I started picturing renaming them all by hand and decided to search out something that could do it for me. Google brought me to http://www.bulkrenameutility.co.uk and the Bulk Rename Utility. The name isn’t very imaginative, but it’s free and it worked perfectly. It only took a second or two once I figured out the interface, which isn’t exactly clean. My only complaint is that the logging function doesn’t appear to work. I thought it was a permissions issue, but moving it to a non-system folder didn’t make a difference. I used the Portable version if that makes a difference. The Scorch Trials is NOTHING like the book! If you have read the Maze Runner books and are thinking that The Scorch Trials movie will be anything like the book, I am telling you right now, that they are NOTHING alike. 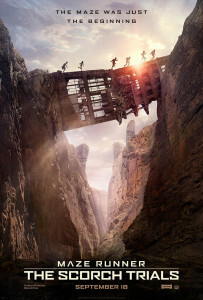 We re-watched The Maze Runner Wednesday night and although there are some differences, the movie is pretty close to the book. The Scorch Trials movie on the other hand, is NOTHING like the book! I wouldn’t even be able to discuss the differences, there is really nothing that happens in the book that is shown on screen. My daughter was heartbroken (she read the book as well). I suspect she was willing to leave during the movie. She hated it. She insists that she won’t even watch the next movie. Hey Netflix Canada, Where’s Stargate Atlantis?